Frontier Blu-ray Cover Art, Plus Favorite Episode Vote & Shikishi! 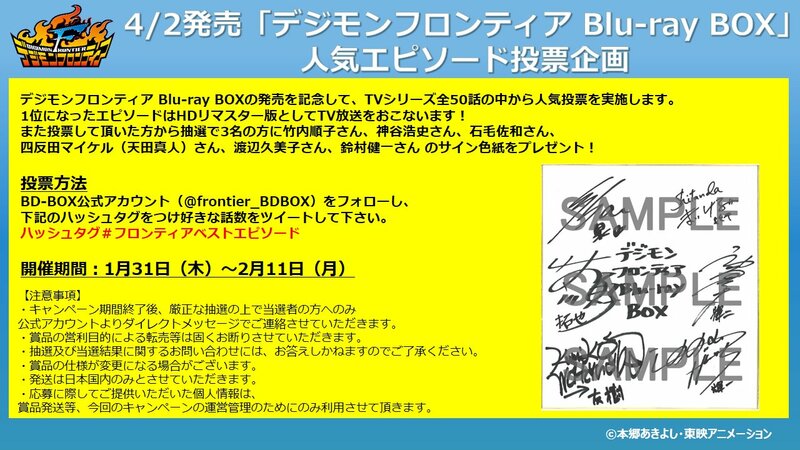 Thread: Frontier Blu-ray Cover Art, Plus Favorite Episode Vote & Shikishi! Nice to finally get this! 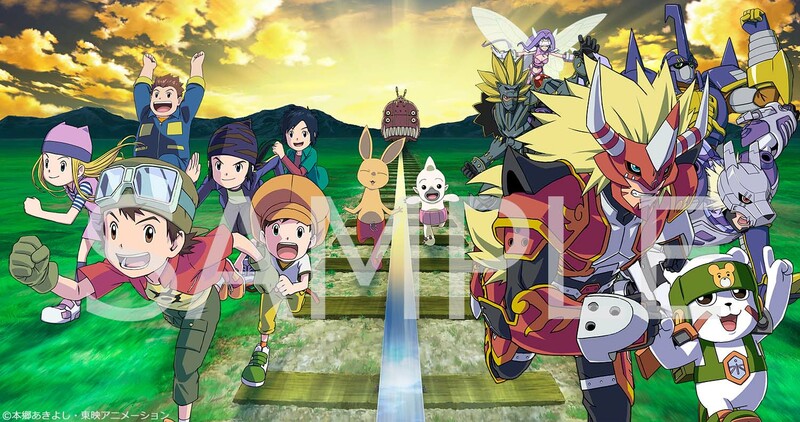 The release of the Digimon Frontier Blu-ray box is just over2 months away and we finally get the full artwork for the outer box! Katsuyoshi Nakatsuru, character designer for Frontier (and Adventure, 02, Tamers, and the upcoming Adventure 20th film), drew the cover, which will once again be a three sided piece of art. Going off the running theme of prior Digimon Blu-ray boxes, this time we get the kids on the left (front) side of the art, with their primary Digimon forms on the right (back) side running alongside them. In the middle (spine) we get Bokomon, Neemon, and a Trailmon Worm. It's a great piece of art that shows off Frontier well. This time it'll be done with a fan vote on Twitter for peoples favorite episode of Frontier. Anyone can vote, but the shikishis are only available to those in Japan, and entries will only be taken until February 11th. Follow the Frontier Blu-ray Box Twitter, and tweet the hashtag #フロンティアベストエピソード along with the episode number of your favorite episode of Frontier. Three voters will get shikishis signed by the cast. Previous news on the Frontier Blu-ray box can be found here, including a look at the store exclusives.